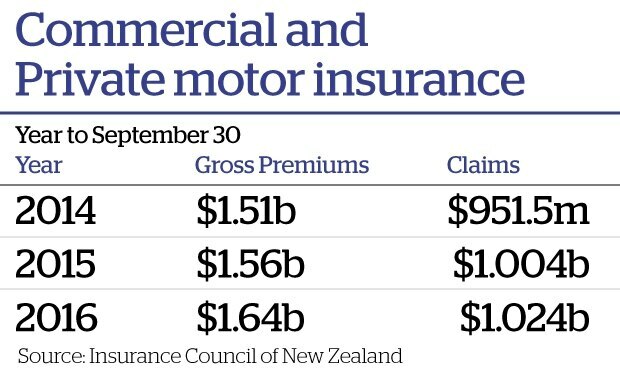 Rising insurance claims are set to push up the cost of car insurance, with one insurer warning that double digit increases will be on the cards for some. At the same time the loss ratio has risen from 69.5 per cent to 74.3 per cent. "These vehicles do have a lot more collision avoidance technology." While that meant those vehicles would crash less often when they did it was expensive to fix. That was not because of the time involved in fixing the car but the higher cost of parts, he said. "We are not getting paid a lot more - it's only the parts." He said insurers should tailor premium increases so that cars which cost more to fix also cost more to insure. "All that stuff is possible. But insurance companies have been slow to pick up on that." Twenty years ago a wing mirror could cost $70 or $80 to fix but now it could be several thousand dollars depending if it had sensors, cameras or a computer inside it. And the trend is set to increase. While many believed it was mainly European cars which came with fancy new technology Pritchard predicted within a year or so all new cars would come with anti-collision technology. But at the same time the average age of a car remained 14.5 years which showed there were still a lot of older cars on the road in New Zealand. "Parts have got a lot more expensive but it is not parts across the board." He said owners of newer cars should wear the costs of higher premiums where as older car owners should not have to pay more.